When I was planning this Off The Beaten Track post I only had one old pillbox (or bunker, if you prefer) in mind but it seems there are still a few more around so I extended my??? A pillbox is a concrete bunker or guard-house, and usually has small holes from which to keep watch and aim a machine gun from. 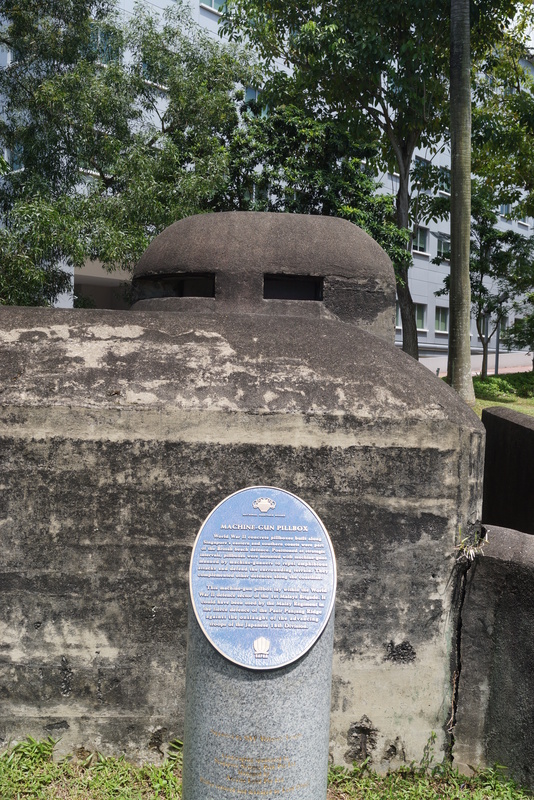 Under the British command in the lead up to the Second World War a string of pillboxes and other military fortresses were built predominately along the coast of Singapore, and also throughout Malaya. They were spaced about 500 metres apart so the coast must have been dotted with them, however only a few still stand. 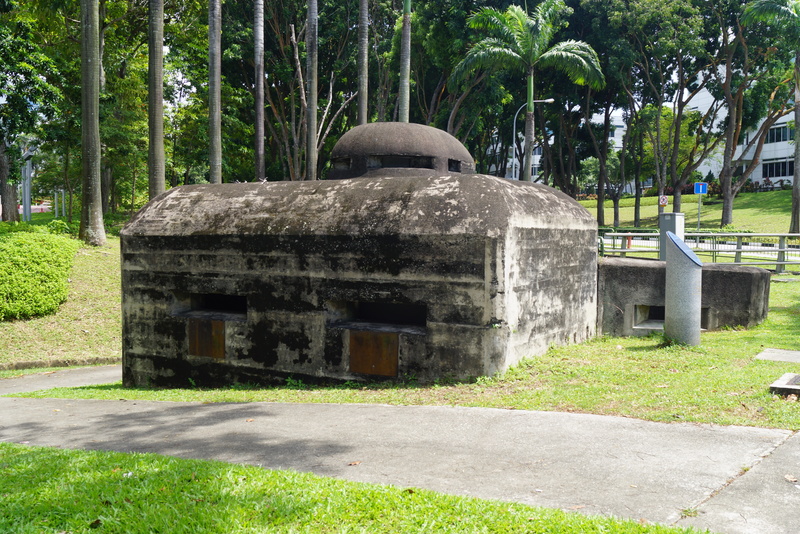 The Pasir Panjang Pillbox is located at the corner of Pasir Panjang Road and Science Park Road. There’s an information plaque out front but the pillbox is locked so you can’t go inside. It sits on a corner and in a city that’s not exactly devoted to old things I think it’s great that this one has been left standing. 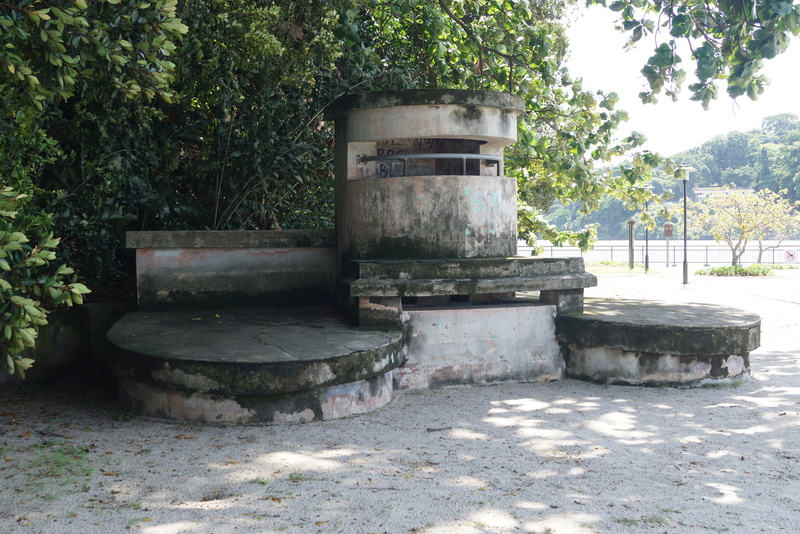 Labrador Park, which I posted about a few weeks back, also has a Pillbox. 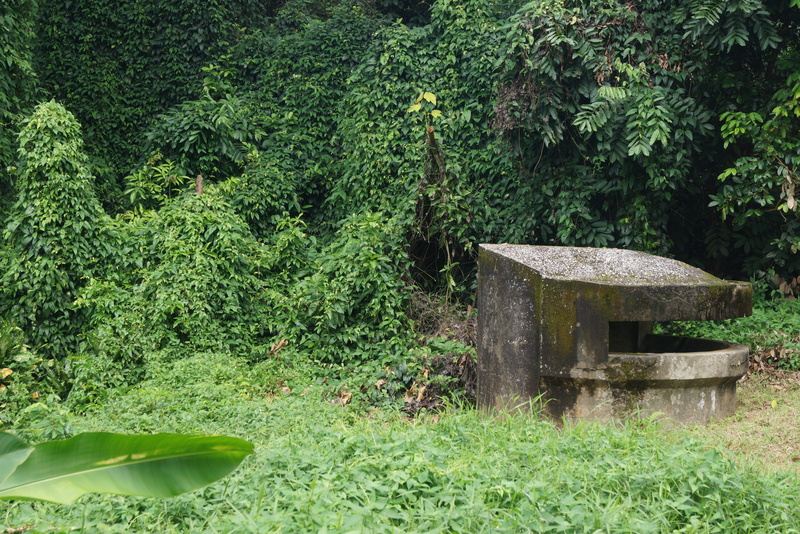 The pillbox on Sime Road is the first pillbox I heard of, and for me it’s the most interesting as you can actually go inside and also because it sits in the jungle so you have a better idea of how the pillboxes would have looked at the time they were used. If you don’t have a car the Sime Road pillbox is going to be a bit tricky to get to as it’s located on the road that leads to Singapore Island Country Club and buses don’t run there. If you’re driving don’t be put off by the “Private Road” signs as you can drive down to where the pillbox is and park in Sime Hill Road, just on the left before the pillbox. 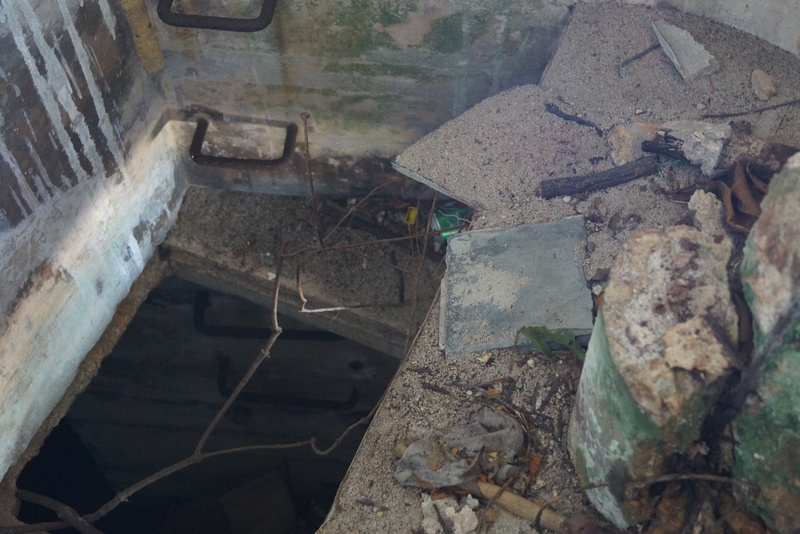 I’ve visited this pillbox twice but the first time I called past the area hadn’t been cleared for some time and didn’t dare walk through the vegetation to have a look inside. Happily, on my second visit it had just been cleared so I was able to walk around the back and look in. 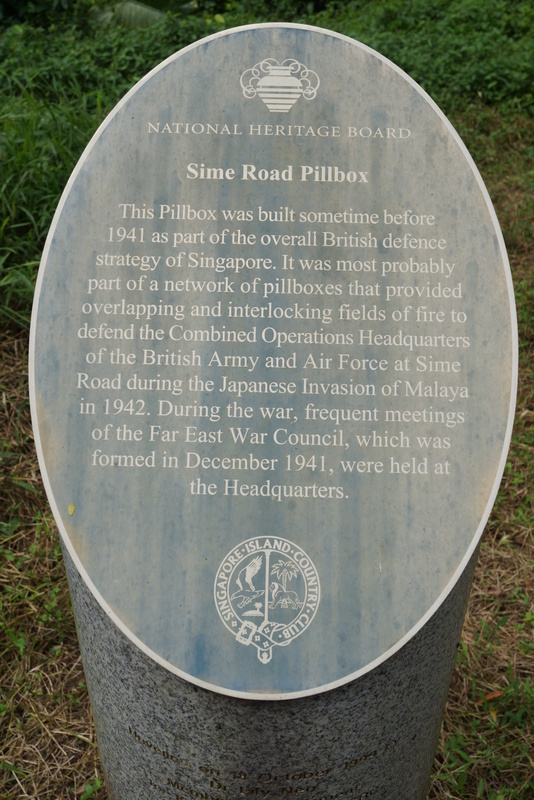 Sime Road is in the centre of Singapore, and as far as I am aware this is the only pillbox still standing that wasn’t located along the coastline of Singapore. As you can read in the above photo the pillbox was near to the British headquarters during WW2. 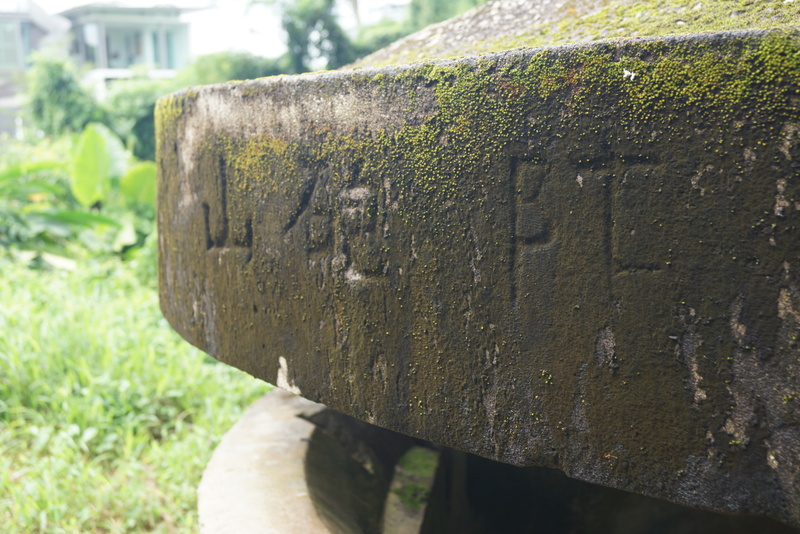 Inscription on the outside of the Pillbox. 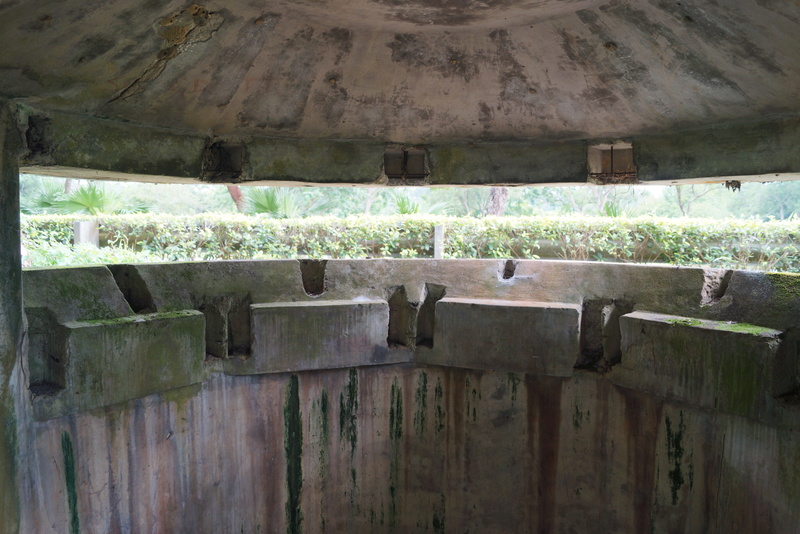 There’s a couple of other pillboxes on Sentosa Island but these have been “Sentosa-ised” and are painted rather garishly. To me the other three pillboxes are more respectful to their history.